The name of a person is the first representative of his identity, by which he is known to others. 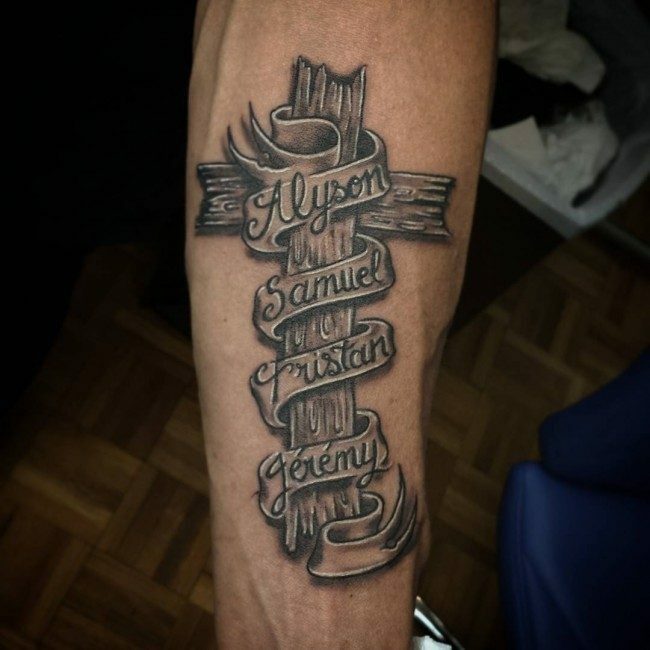 This is what inspires tattoo artists to include names in some personalized tattoo designs, which can be the bearer’s own name or the name of his loved ones. 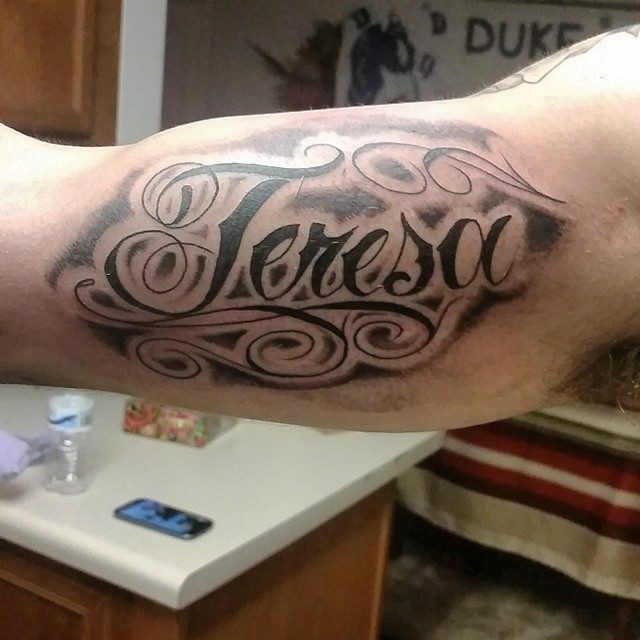 In fact, name tattoos are the most sought after tattoo designs, despite being the simplest, with many of them just having a name inked on it. 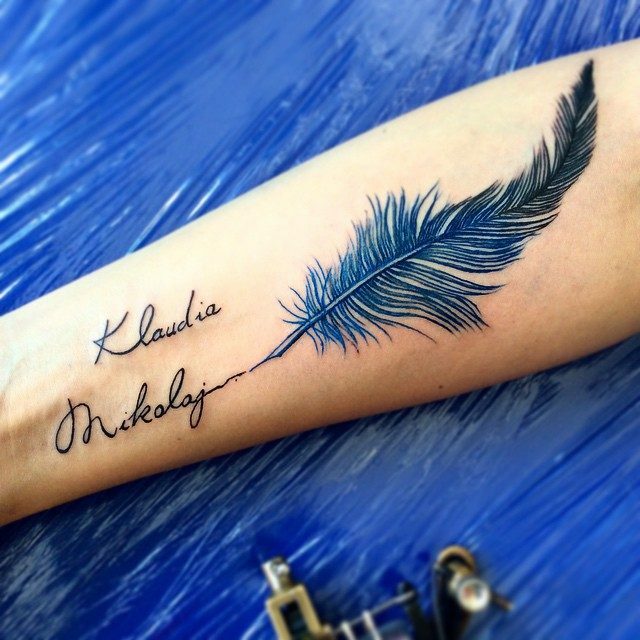 On the other hand, the name as tattoo art can be made more detailed and intricate by incorporating the name with a design, may be a flower, anchor, dreamcatcher, fish, feather or any other object, according to the choice of the bearer. 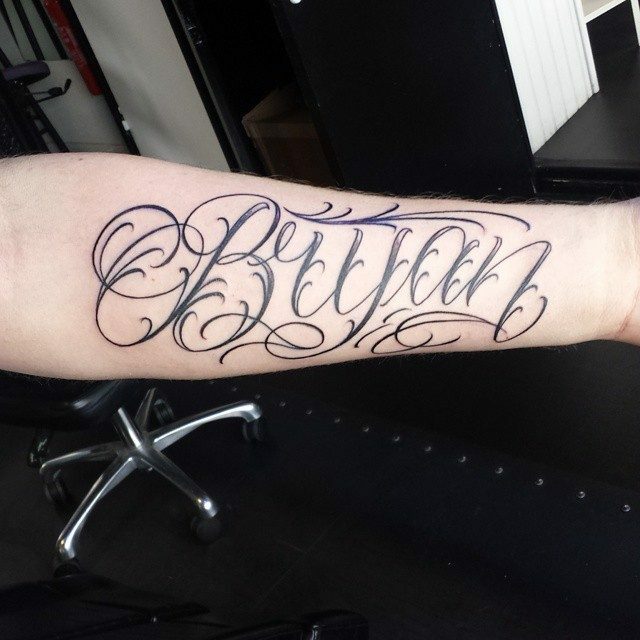 If you wish to have a tattoo which contains name or letters, each detail can easily make or even destroy the ink work. 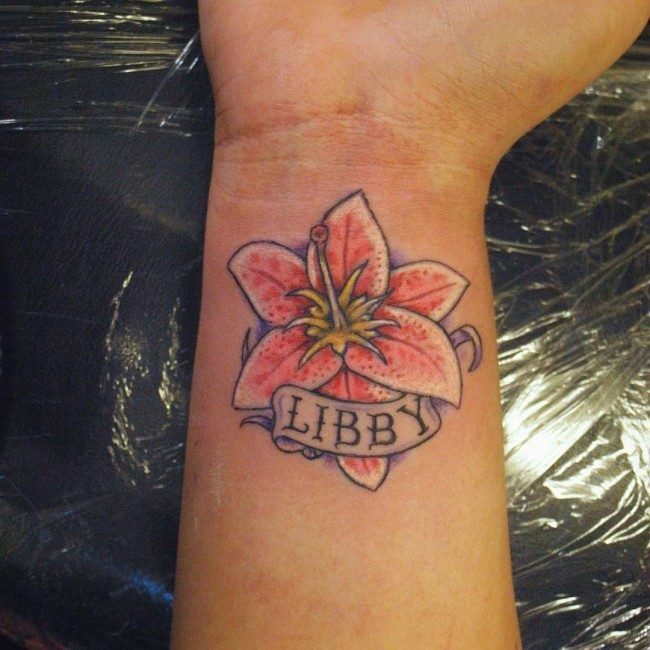 Name as tattoos are more than just carved names in indelible inks in one’s skin. It is a reminder of who you are or whoever you value. It is a lifelong mark of significance for yourself and or the people you care for. “What is in a name?” This is Shakespeare’s one famous line that up until now draws a lot of thinking from people. Indeed, names are representations of who we are. They are given to us with a special attachment to how we were when we were born or because they remind our parents of something really valuable when they speak of our names. Most inks are indelible marks that would help keep memories etched in papers, canvass or even in one’s own skin permanently. The skin is of course, something that cannot be detached from a human being. It’s a covering, an outer layer, a display of the form of the human body. 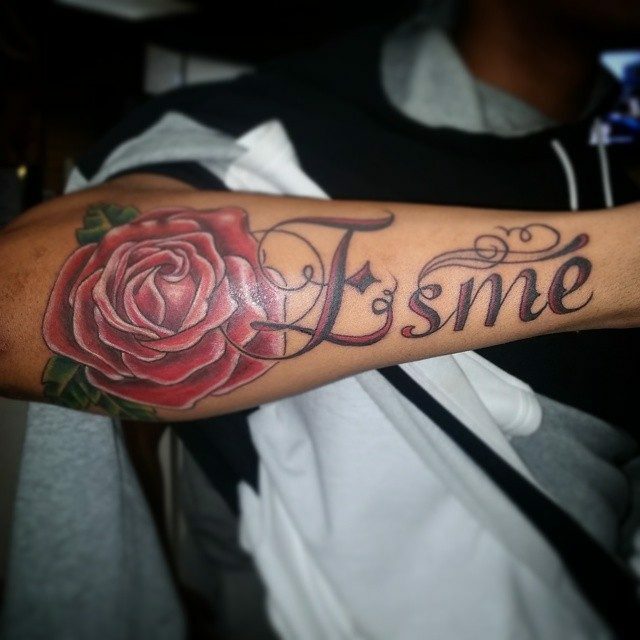 Therefore, a name inked in a skin spells permanence. A long lasting remembrance, a reminder of one’s being or a way of keeping somebody special close to oneself. It becomes a facade of one’s skin. 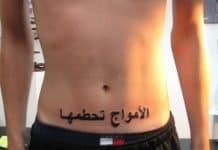 It displays the affection and the worth of whoever is the owner of that person’s name is. 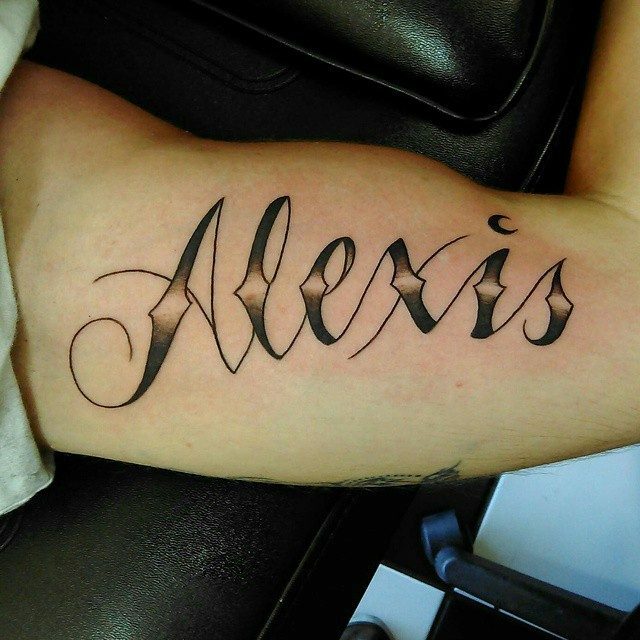 Thus, it sums up to the creation of name tattoos. This form of art has been existing long before it was called as such. Tattoos just like name have existed long before the advent of technology. In other words, they have their very own rich history. Ancient individuals have had tattoos as early as 4000-3500 B.C. Only, they were just more figures, abstract shapes to convey their love for inks in their respective bodies. From 1300 BC, name as tattoos have made their mark in the tattoo industry and have evolved into beautiful and more unique designs to present. These areas might need bigger font and precise details as they are most likely to be easily noticed by others. Meanwhile, others prefer minute, small details behind the ears, the hidden joints of the body, and other similar areas. This may require more work as they are more tiny and intricate to do. 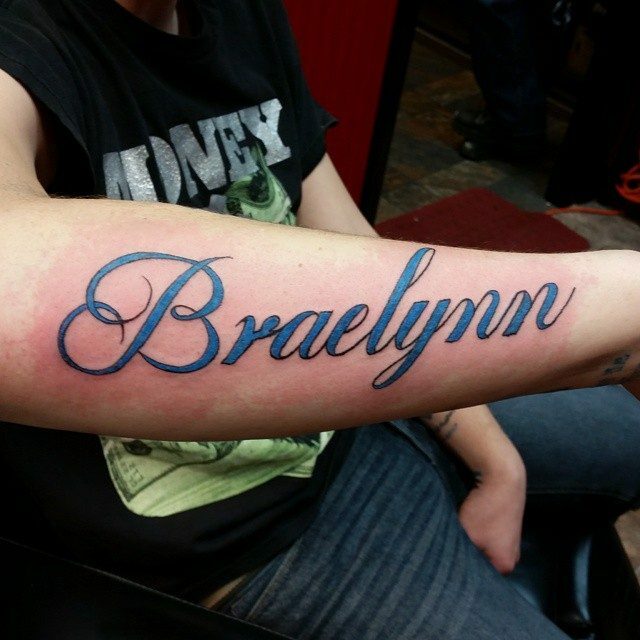 Another great consideration is how much art do you want to incorporate in your name. 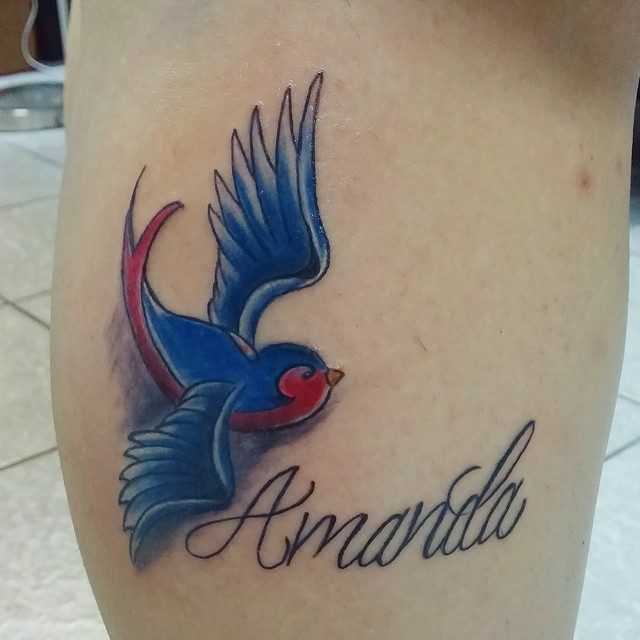 For sure, you would want it to be as unique as how your name or the significant person’s name (the one who you will get the name art for) mean. 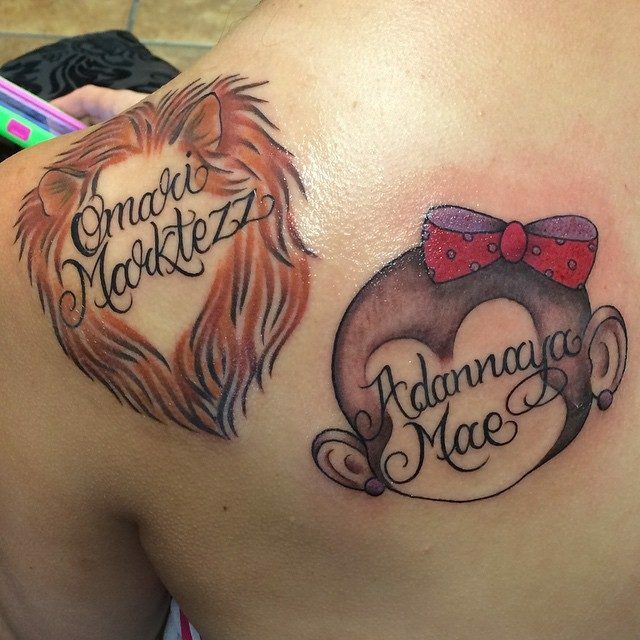 There are plain name art tattoos while there are those heavily laden with details. Some come in black and white palate while some come in the most colorful forms you can ever see. Some use common and formal fonts, while others use the calligraphic type fonts. In addition, the names cannot just be as plain as letters and curves. They can come with other designs as common as the heart and as less common as other abstract lines and figures. 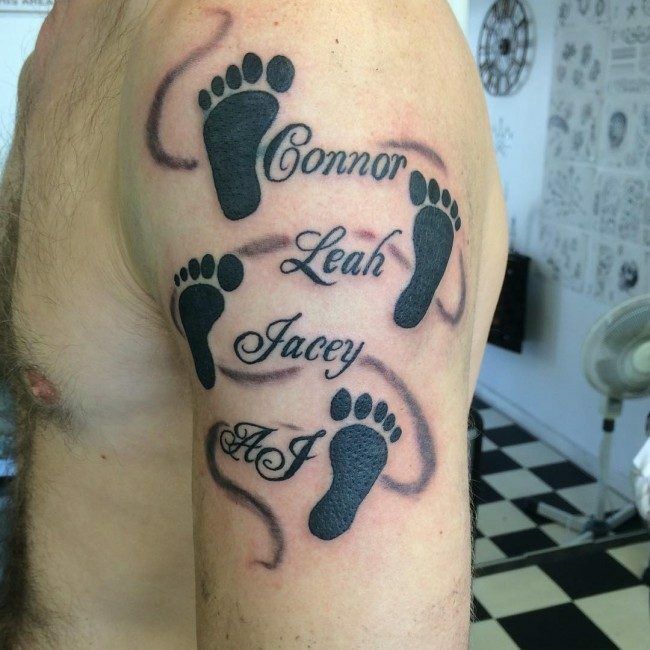 Name of Children as Tattoos – Of course, aside from your own name, it is always a good decision to use your child’s name as a tattoo art. Aside from the fact that every child is special for his or her parent, your children will permanently be your children in your entire lifetime. People come and go but your children will remain yours. 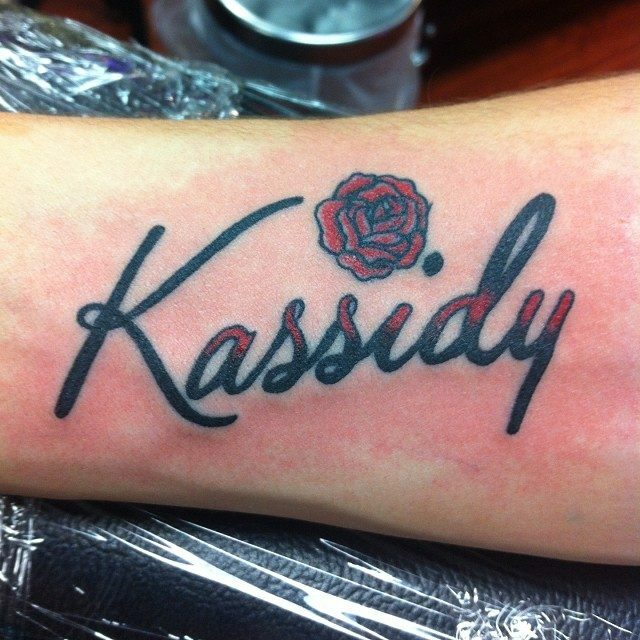 Therefore, it is best to keep a permanent memory of them by having name tattoos of their names in your own skin! 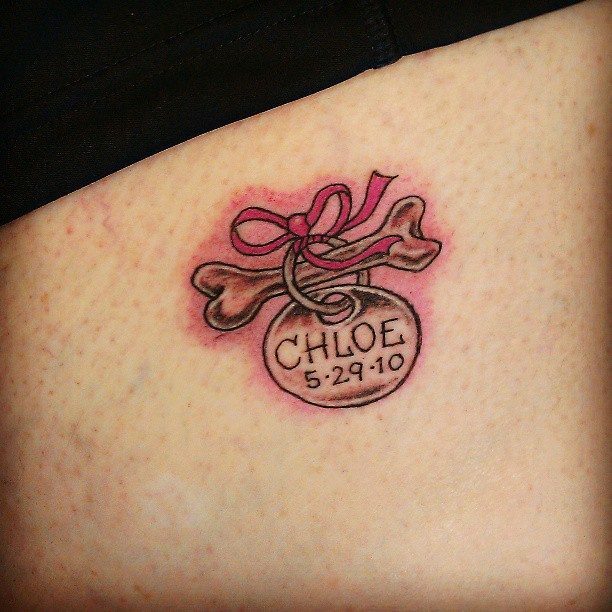 Love and Name – For sure, your special someone would appreciate the idea of having his or her name in your most favorite part of your body. However, one must be very careful in doing so because as positive as our view in forever is, there is also that affirmative possibility that even good relationships never last. You do not want to live in misery everyday of your life just because you are always reminded by a name art tattoo of somebody in your past who you wish to move on from. Getting tattoos is easier said than done. One would need great amount of courage, bravery and determination to get it done. 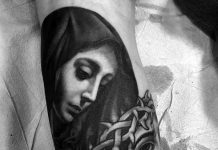 There are many proliferating tattoo shops in town and there are as much tattoo artists as well who would compete to do their precious work of indelible art in your flesh. 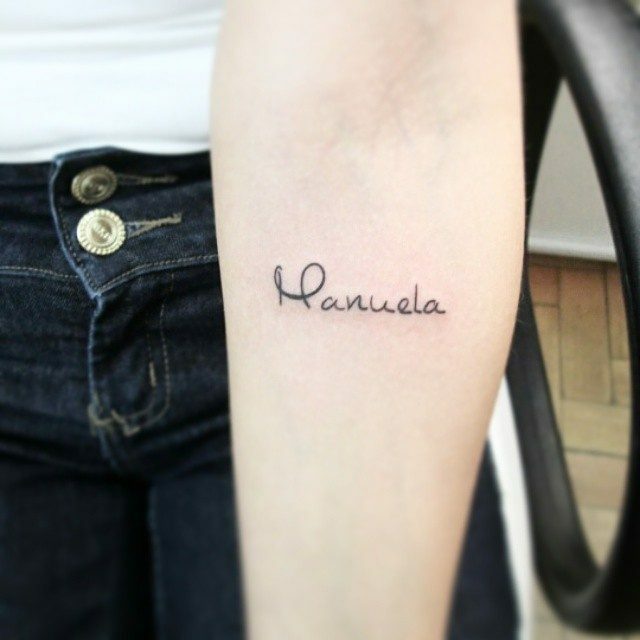 There are different methods of doing name art tattoos. Some go by the traditional pain of needles and bloods while others make use of emerging digital technologies that promises of lesser pain and better details. 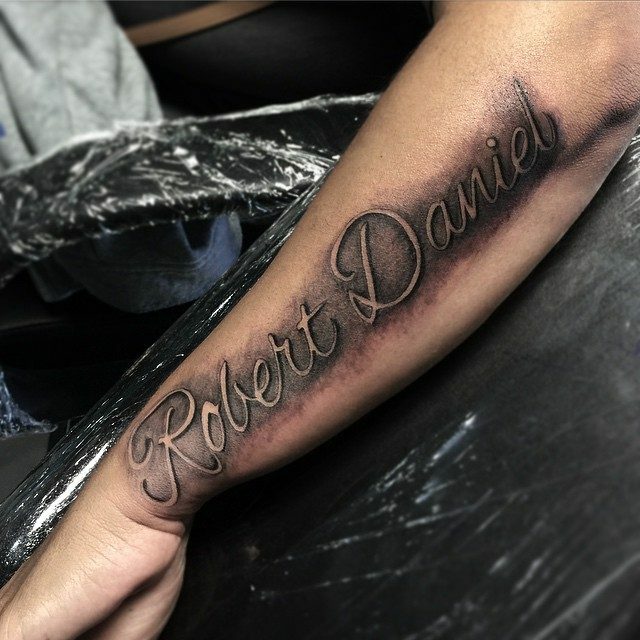 For others, they seek the services of well-known traditional folks or tattoo artists that have excelled in the tattoo business for as long as possible. 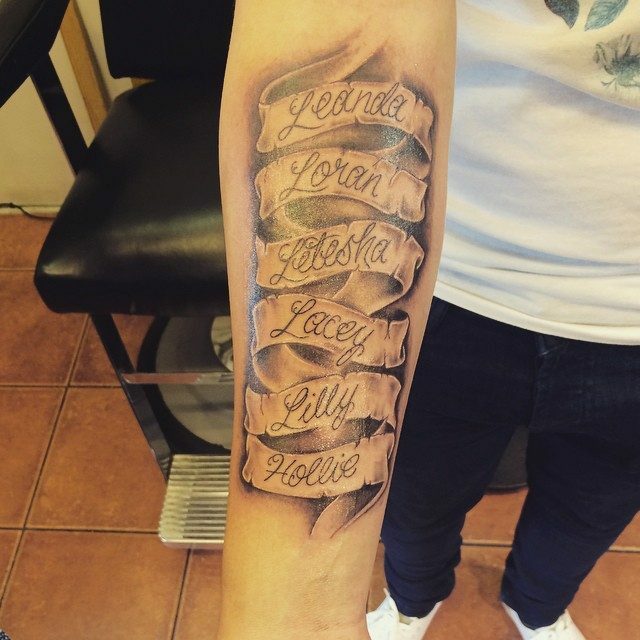 Whatever method you choose, getting inked would require a no turning back decision and a great degree of certainty specially in choosing which name to be used. They of course comes with a price. After all, good things never come for free all the time. 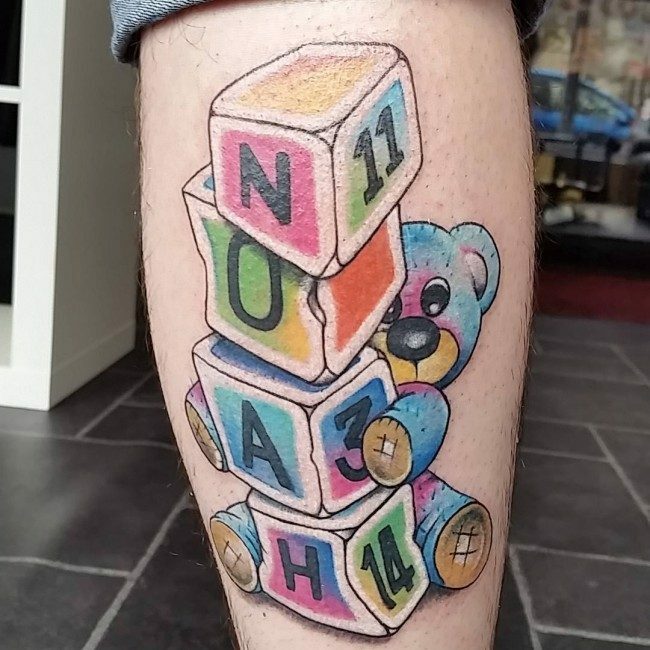 There are many local budding artists in your area who might have the emerging and fresh name art tattoo ideas who might not get hefty amounts of money from you. However, it is also vital to consider the hygiene and safety of the procedure. Therefore, paying a pricey tattoo artist with a quality service might just be a better option than choosing a cheaper but unsafe tattoo method. 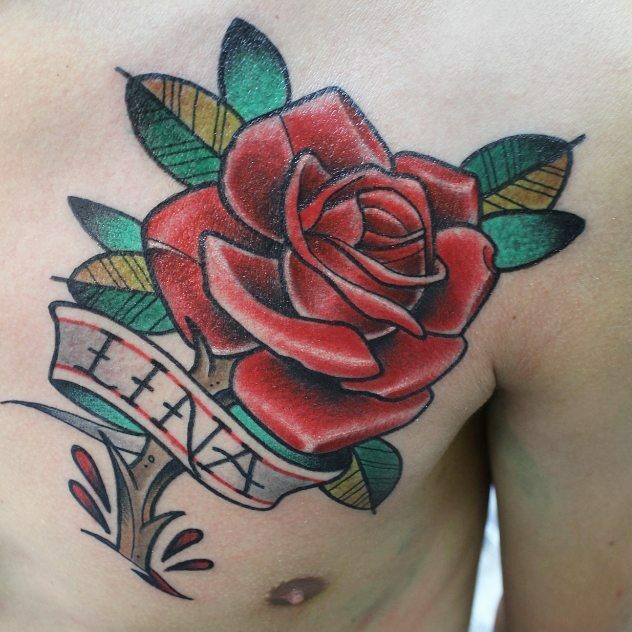 The cost might also be different according to how complicated and how many colors are being used in a certain tattoo. A bolder and greater surface area is obviously more costly than the ones which are plain and tiny. One great discomfort is of course the after procedure skin prick pains. For some, this is tolerable but for others, this might be something that they will have to endure before enjoying the perks of their tattoos. Whoever you are and whatever your choice for your tattoo will be, always make sure that you go through this with certainty. 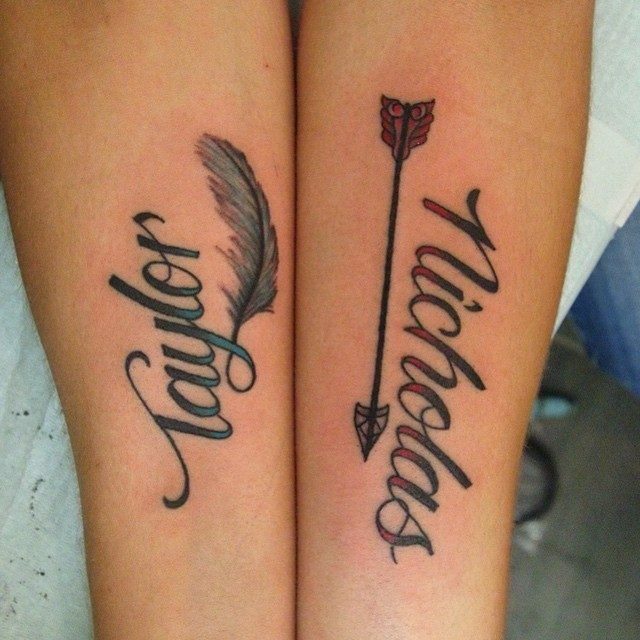 Such tattoos will carry an image of the name that is inked in your skin in your entire lifetime. It will speak of honor, value, respect and love for that person, be it be yourself or someone significant to you. 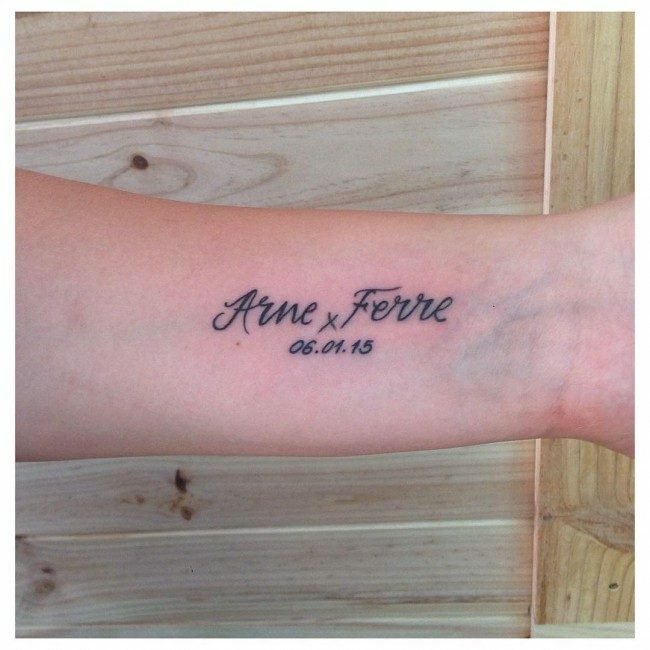 The purpose behind having a name art inked inscribed on one’s body is to honor one’s loved one, whose name is included in the tattoo. The name may be that of a lover, spouse, parent, friend or even pet. It may even be that of a departed person, but one needs to keep in mind that a tattoo once done will be a part of you for a life time. There are also some superstitions, such as a romantic break up will take place after the tattoo is inscribed on the bearer, but it is only a myth and bears no correlation with reality. When you choose such design, there are some considerations to be borne in mind, with due attention to the detail in design, lettering and font size being the primary considerations in this regard. The name should be inscribed in such a manner that it is clear and legible. A lot depends upon the lettering used as a particular kind of lettering may look good on one name, while the same may not be suitable for the other. 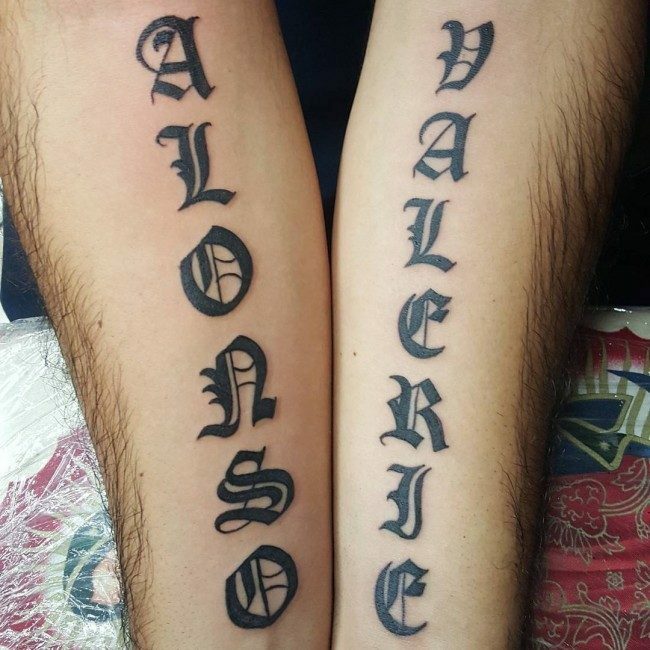 The same thing goes for the size of the tattoo. For instance, names which are shorter and have curvy letters look great in script lettering rather than any other type of fonts. 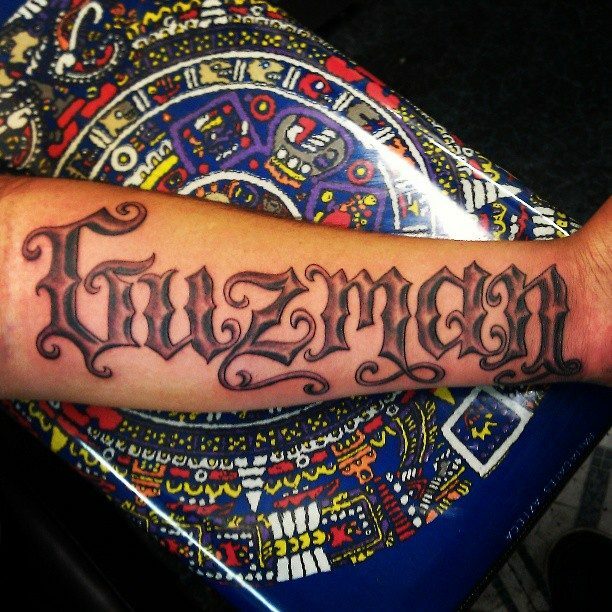 Some other styles done are gypsy fonts and Old English lettering, which are meant for the more creative ones. Women can go for more elegant forts of lettering and men can opt for bolder and larger fonts, which represent masculinity. 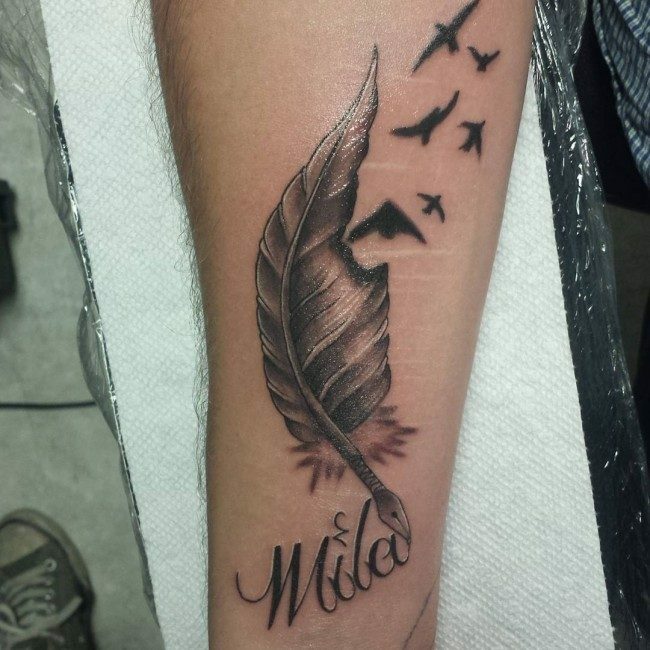 Besides the considerations related to name tattoos which have been mentioned above, the placement of these tattoos are of great significance too. 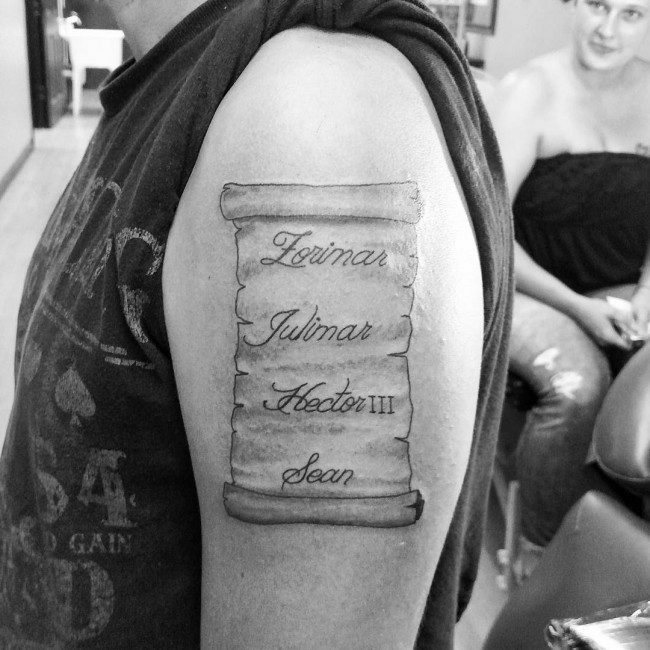 When the bearer has to get his own name done in a name tattoo, he should prefer to have the name tattoo done on an area which remains exposed such as the arms, shoulders and legs. The preferable design is the simple name without incorporating any design elements. Getting additional design elements can be incorporated is totally on the discretion of the bearer and depends upon his decision. 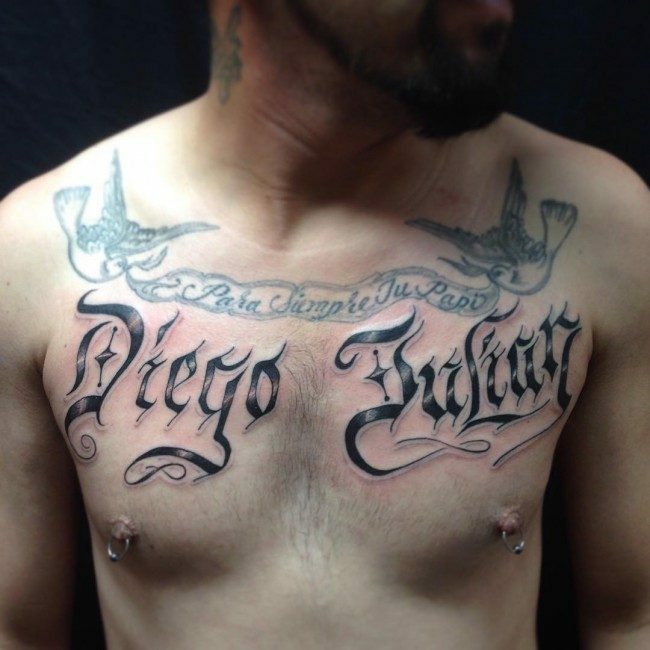 Men can have them inscribed on their chests, which they can flaunt in a shirtless avatar, along with their fit chest. 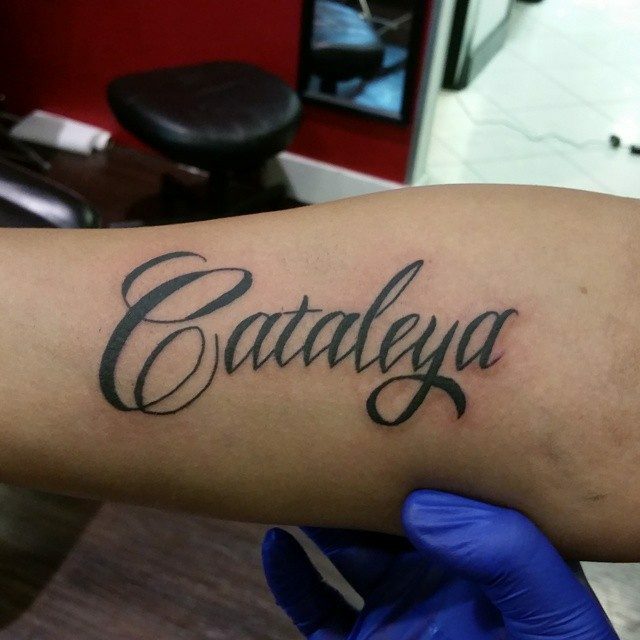 This is also an ideal place to bear the name of your loved ones, right next to your heart. Similarly, women can have a them inscribed on their wrists, finger, ankles or thighs. 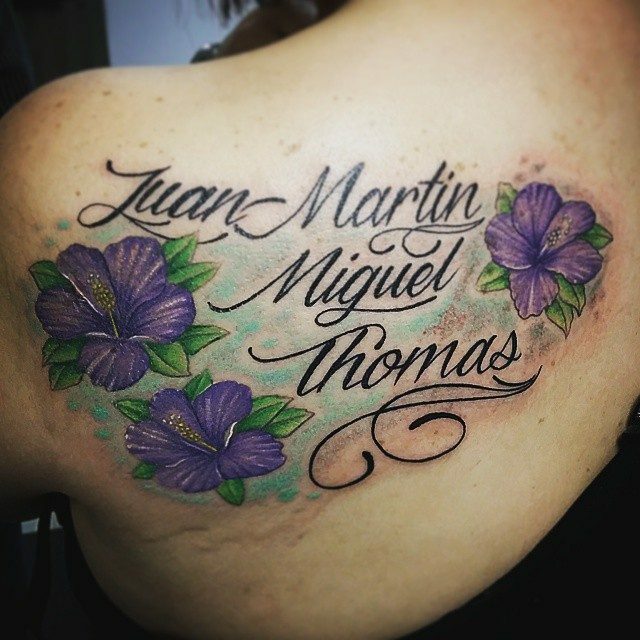 Some other areas where they can be inscribed are the back, shoulder and neck, which are particularly useful if you want the tattoo to be visible to the world. One of the most amazing place to wear them is on the ring finger, which couples have done in place of wedding or engagement rings. Font and lettering can be used as the main design elements and some additional images can be incorporated along with the names, according to the choice of the bearer and purpose. 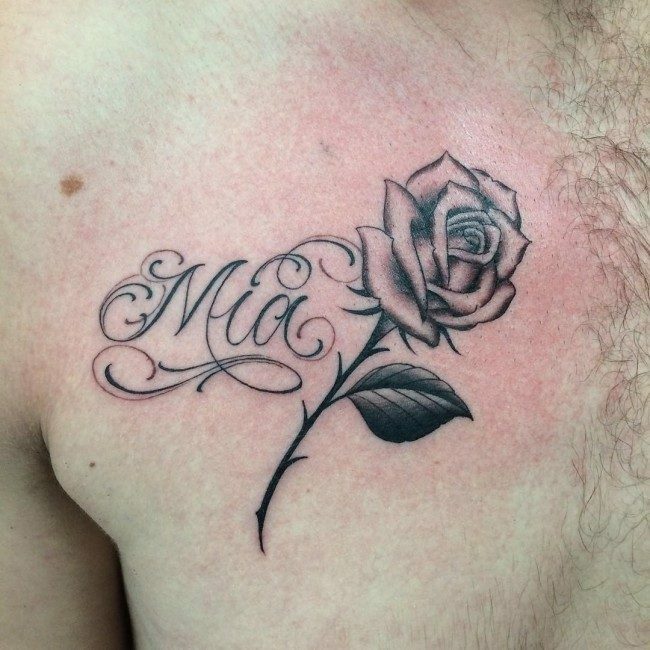 For instance, the name of one’s beloved can be written inside a heart or be accompanied with a flower, which symbolize the feelings of passion and love. 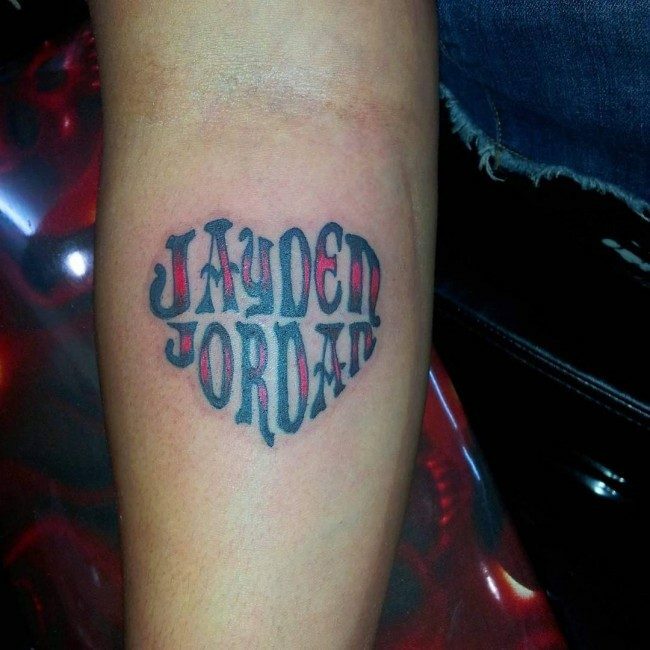 While making the tattoos of children, one can add a cartoon image or balloons along with making use of block letters for a complete effect. Another cool option is to have some special words or quotes added to it, to show the importance of that particular name in one’s life. 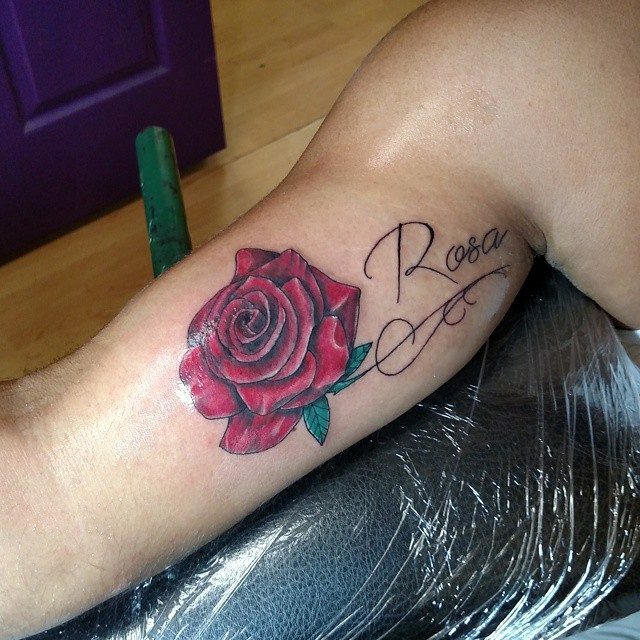 Color effect is another way to enhance, which can be use to highlight a part of the tattoo or the whole of it. Another way to make the name design tattoo more innovative is to try out a creative zig zag pattern instead of a simple, straight one. 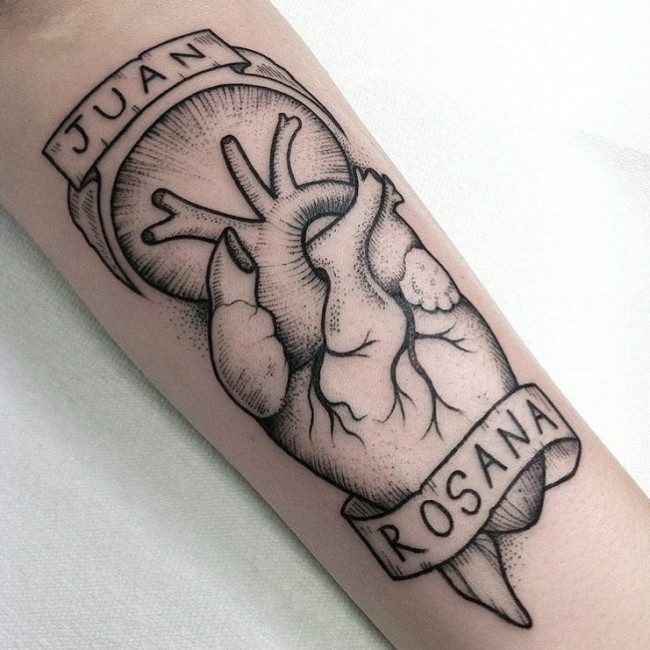 A creative tattoo design artist may create a visual delight by using heart and diamonds pattern in the lettering of the tattoo design for a brilliant effect. 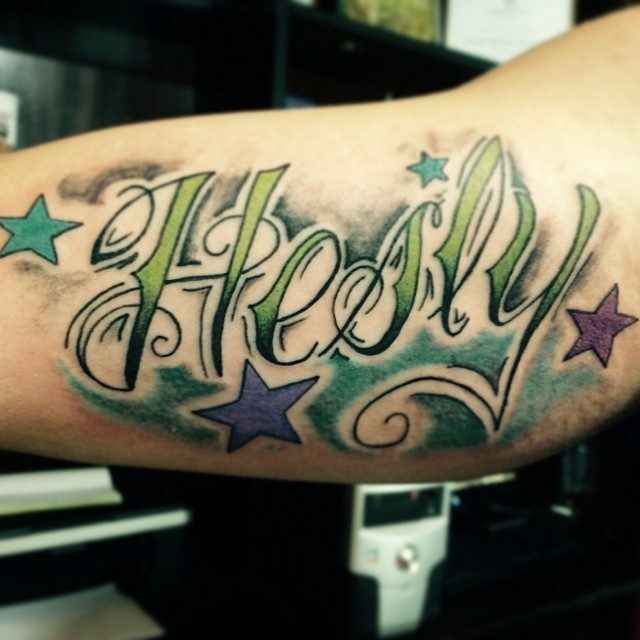 Shading is another way to make the name art tattoo more prominent. 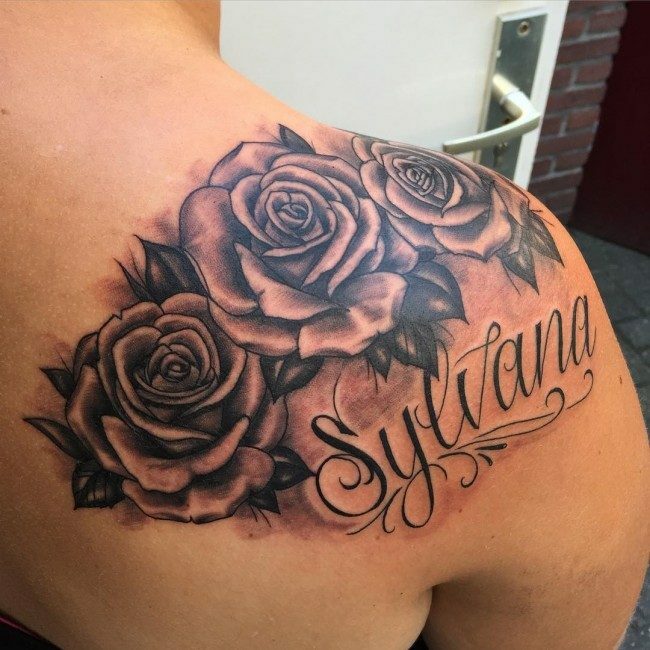 The main name of the tattoo can be done in bold solid black color, while shading can be done in the additional design to give it an attractive look, with vibrant colors to be used for better effects. 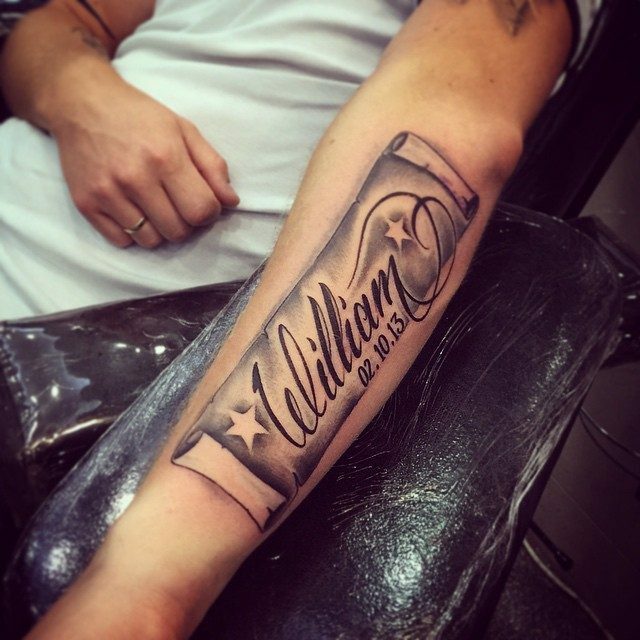 However, care needs to be taken that the contract highlights the name part of the tattoo rather than suppressing it, as bring out the name is the basic purpose of the name art tattoo design. 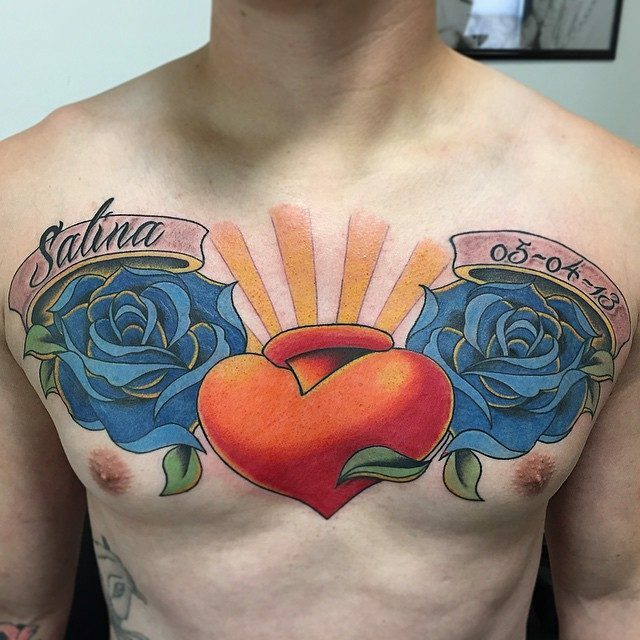 Sometimes, this art can be accompanied by important dates, as the wedding date may be added with the spouse’s name and the birth date of a child may be included with the tattoo bearing his name, so as to honor the entry of an important person in the bearer’s life and marking the beginning of a new and lasting relationship with the person. Many global celebrities have been sporting them, which has accounted to the popularity a whole. Angelina Jolie, Johnny Depp, David Beckham, Victoria Beckham, Melanie Griffith, Justin Bieber and Saif Ali Khan are some of these celebrities inked with name. 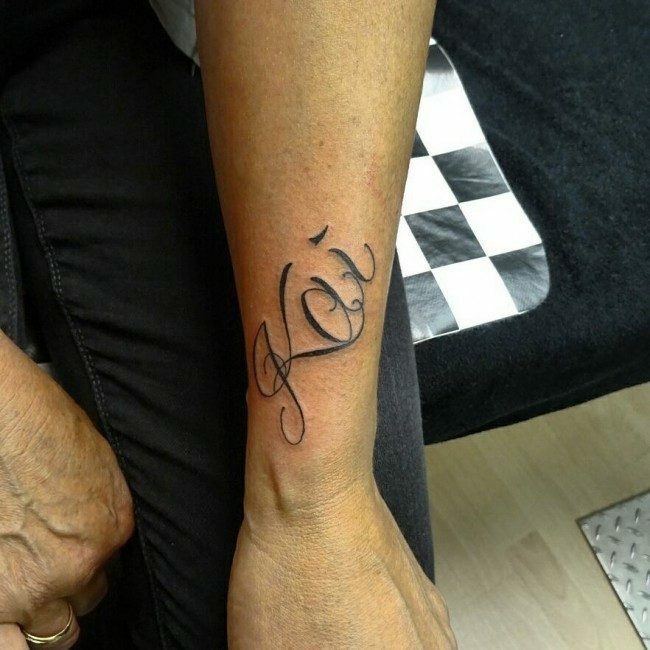 Name tattoos have become the trend of the day, with many global celebrities having the names of their loved ones inked on their bodies. These tattoos may have only a name of a person or have an image or quotation incorporated with it for a more intricate effect. 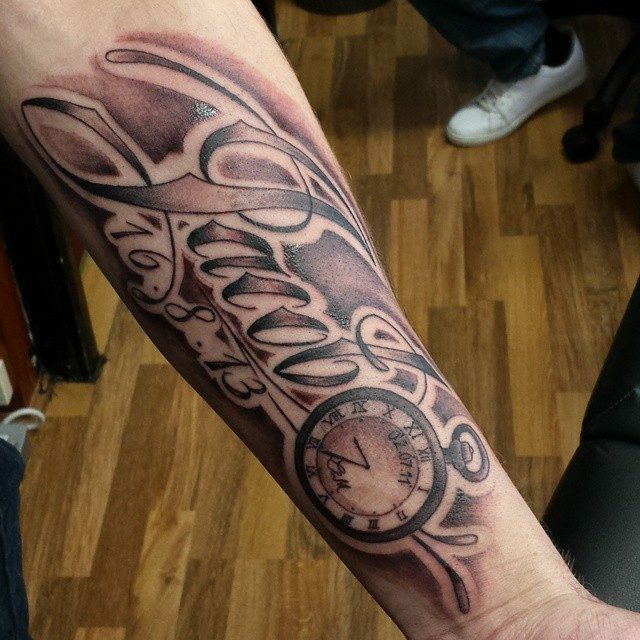 One can also enhance the tattoo design by making judicious use of color and font lettering. 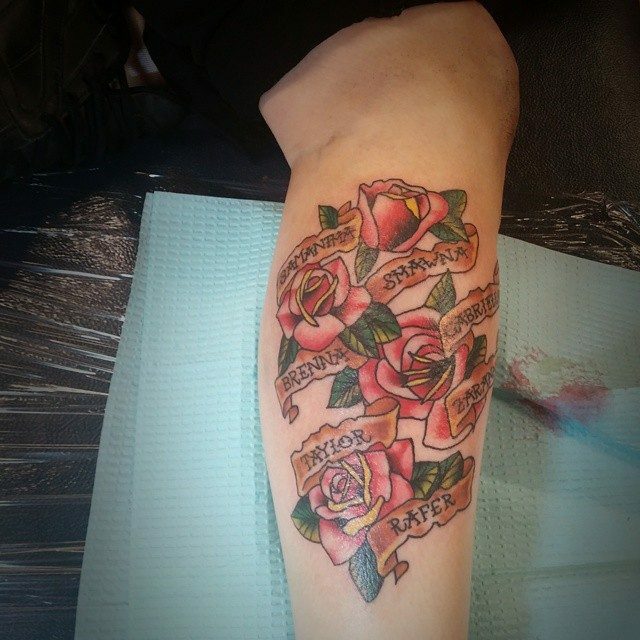 Before getting inside a tattoo parlor, bear in mind all reasons discussed above so that you will have the most wonderful tattoo experience and get a tattoo that will surely be worth all your time, money and of course sacrifice (talk about the pain you have to endure getting it done). Lastly, bear in mind that they are more than just work of art. It is a fusion of your identity, your being and your entirety as a person. 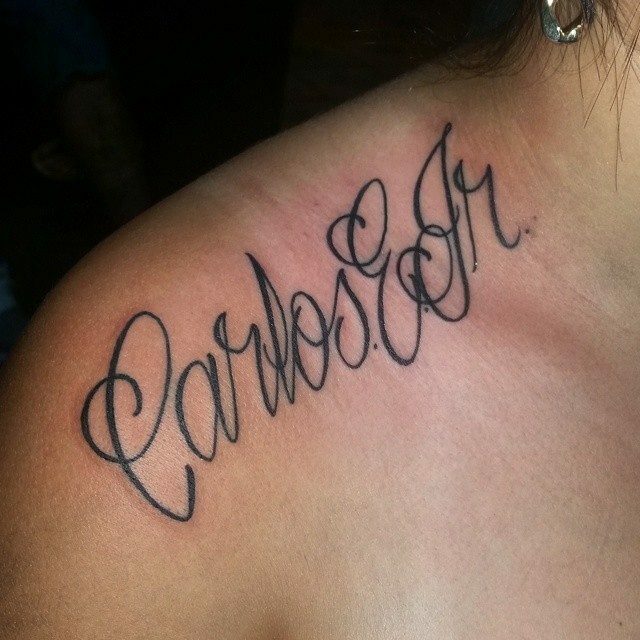 They are more than just carved names in indelible inks in one’s skin. It is a reminder of who you are or whoever you value. It is a lifelong mark of significance for yourself and or the people you care for.